Is your high school student wavering about their career ideas for the future? At this age the possibilities abound for a very bright future for your teen. Now is a great time for them to explore their various interests. There may be a way for your students to try out these interests in a hands-on manner to help out with their decision making. An internship is a great way to let your teen “get their feet wet” in the profession of their choice. If your student struggles with determining what they would like to do in the future they might consider first taking an online interest and skills assessment test. Oftentimes college is the next step after graduating from high school. Knowing for sure what you will be majoring in will save your student a lot of time, effort, and also money. Some internships also have the potential to allow your student to get college credits while working in a field that interests them. 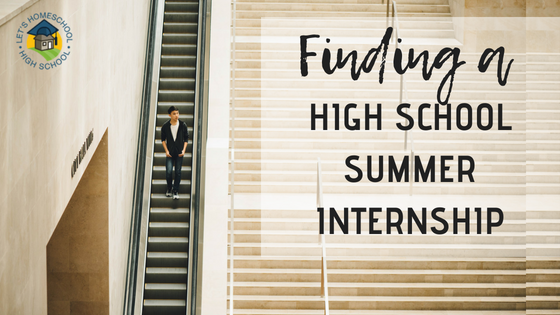 What better way to discover what your student will decide to major in, than by them trying out an internship? Microsoft High School Internship– This would be great for students interested in technology and programing. United States Secret Service– Explore the possibilities of an exciting career with the Secret service! BRAINYAC– Connects high school students with scientists and laboratory experience. Naturalist/Field Research Intern– On the job field based science research experience. Smithsonian Internship– Many areas of internship available through the Smithsonian. The Library of Congress Internship– For those with an interest in conservation, preservation, library sciences, humanities, art, and culture. Veterinary Internships– If you have an animal lover this would be great! Military Internships– Is your student interested in a career in the military? Medical Internships– The opportunities in the medical field are numerous. Art Internships– This helps give you the tools and experiences to develop your talent and get the job of your dreams. The internships listed here are just the tip of the iceberg of available opportunities. Another idea would be to search locally in your student’s field of interest. This is a very exciting time in the life of your child and internship might be the first step toward achieving lifelong success.